Below are photos from the turbulent 1860s, a period marked by revolution and the fight against slavery, through the 1980s, a decade in which technology and globalization started to take off like never before. It's incredible to see how much has changed — and just as often, how much has stayed the same — over the years. 1. 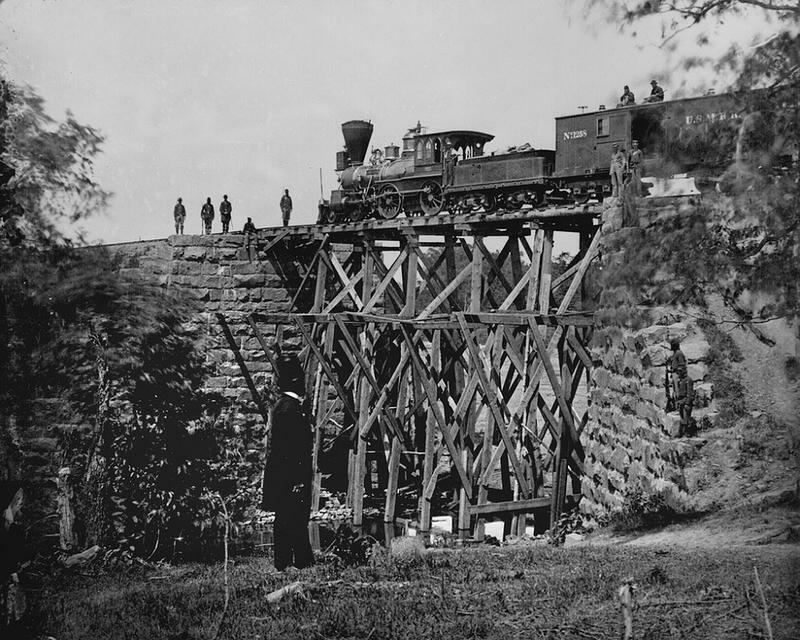 1860s: Locomotive of the U.S. Military Railroad used by the Union on the Orange and Alexandria Railroad in Virginia. 2. 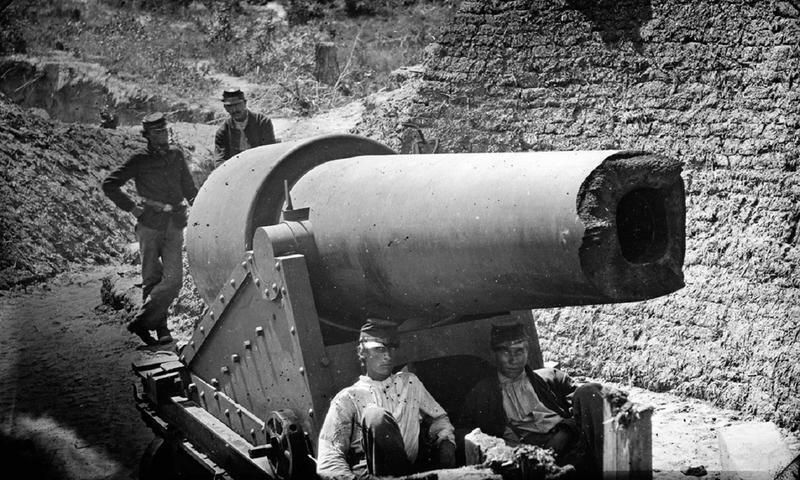 Mid-1863: Union soldiers at Morris Island, Charleston, South Carolina, with a 300-pounder Parrott that later exploded due to heavy combat utilization. 3. 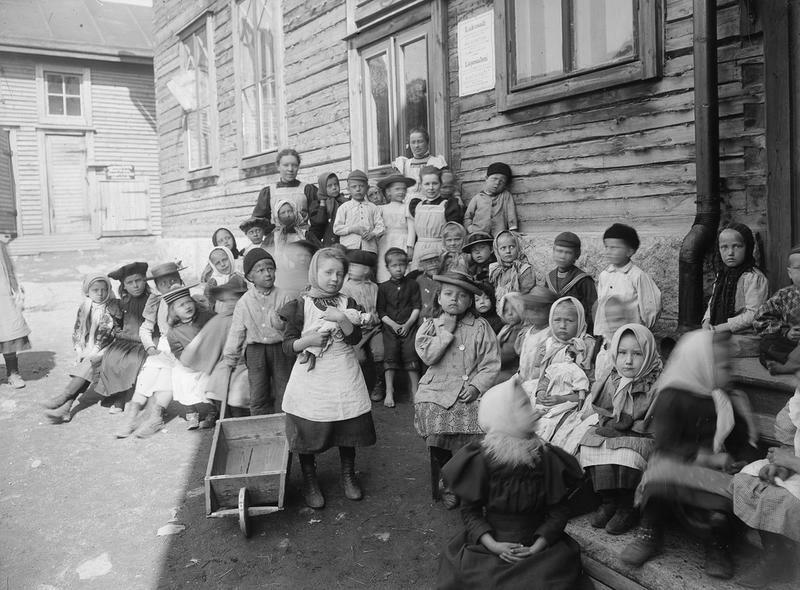 1908: A kindergarten in Helsinki, Finland. 4. 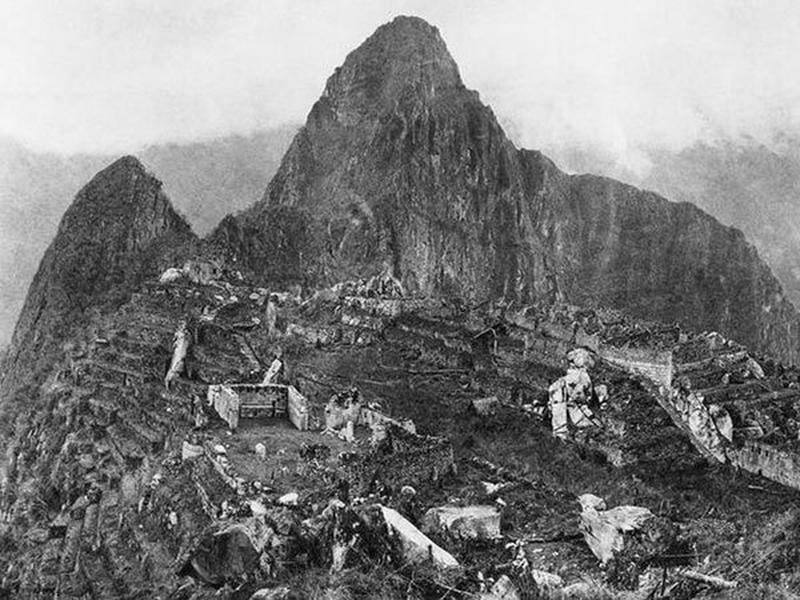 1912: The first photograph of Machu Picchu in Peru, an Inca site dating back to the 15th century. 5. 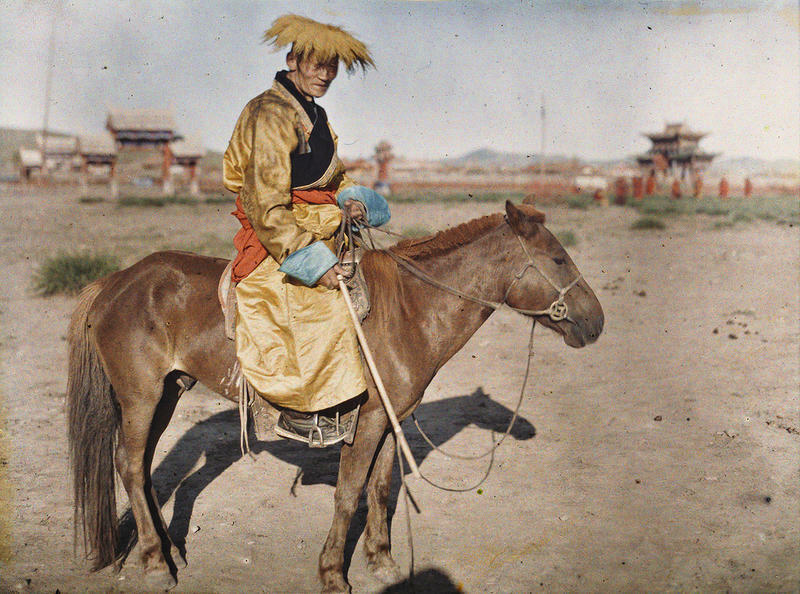 1913: Stéphane Passet's portrait of Gonchigjalzangiin Badamdorj, who served as Prime Minister of Mongolia in the early 20th century. 6. 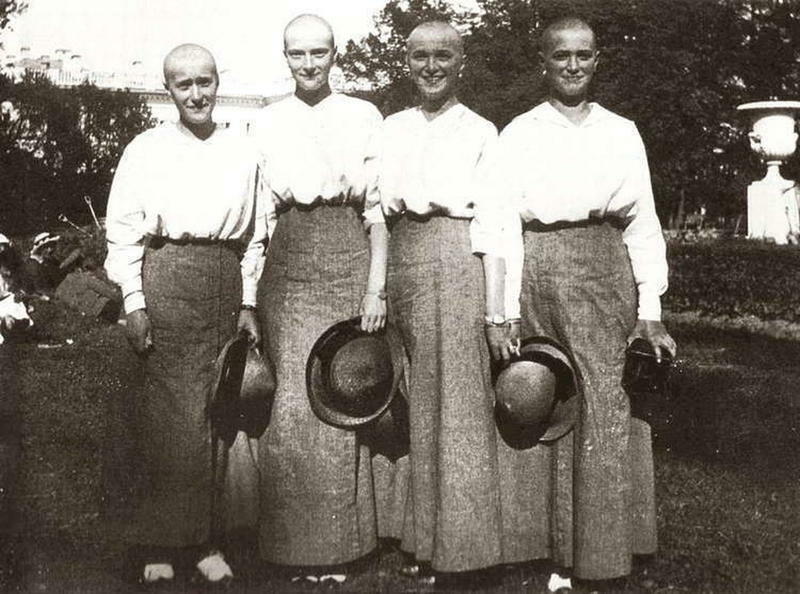 1917: The Romanov Sisters (L to R - Anastasia, Tatiana, Olga, and Maria) with the measles during exile. The entire Romanov family was executed the following year. 7. 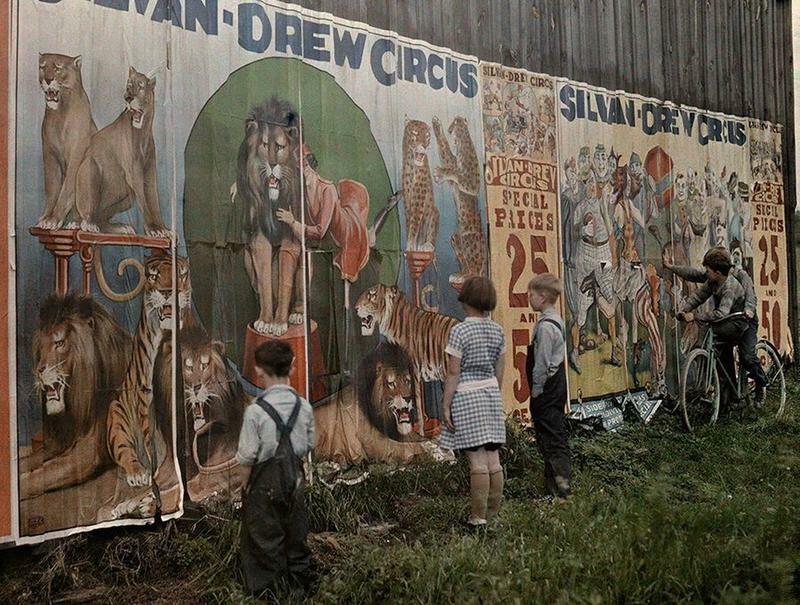 1930s: Children fascinated by a circus billboard. This was around the time that circus films started to gain popularity. 8. 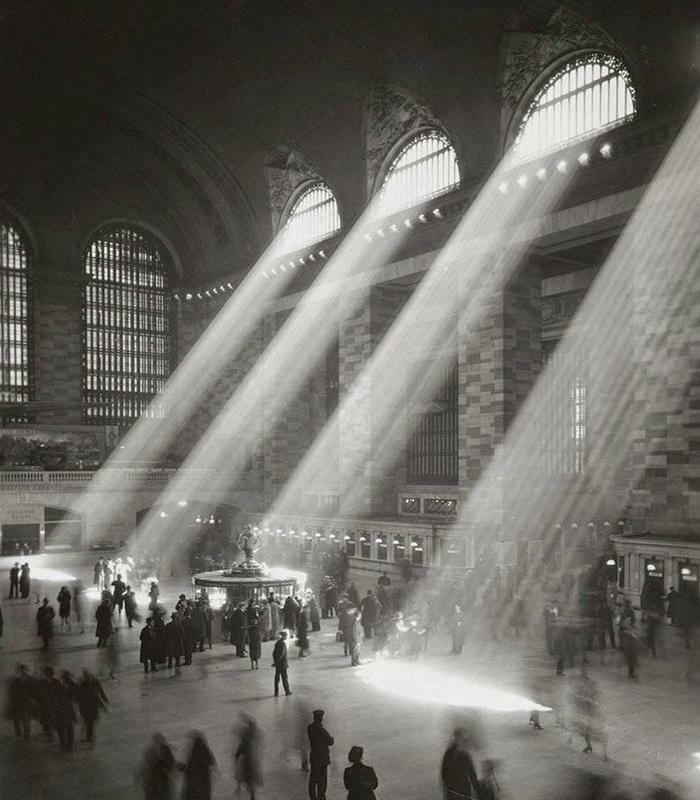 1930: Grand Central Terminal was opened in 1871 and rebuilt twice in 1913 and 1994-2000. 9. 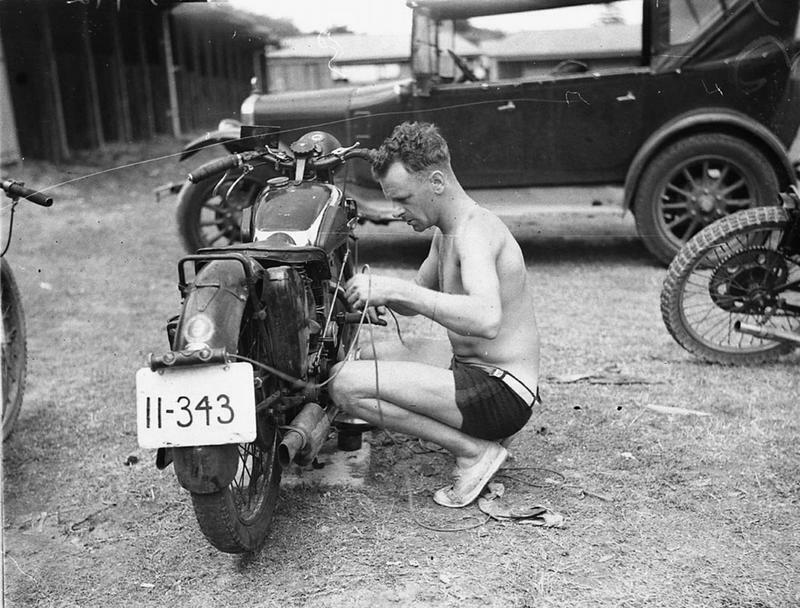 1932: A speedway rider prepares his road bike in Sydney, NSW. 10. 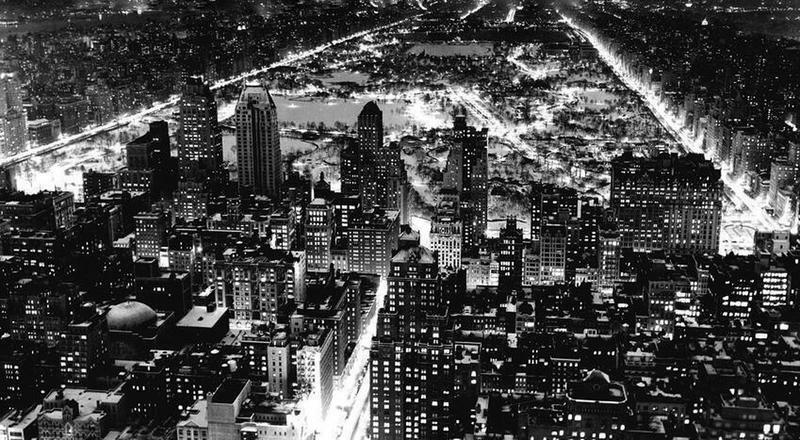 1937: An incredible aerial view over Central Park in Manhattan at night. 11. 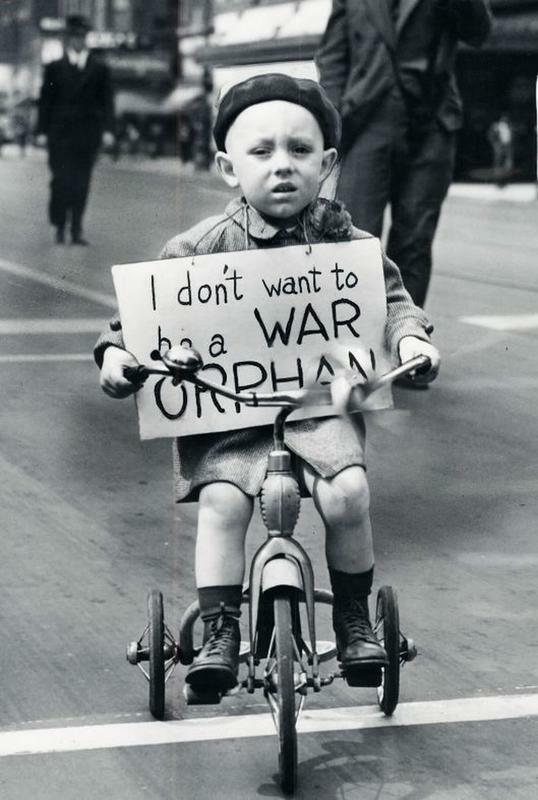 1940: Four-year-old George Litwin with a sign reading "I don't want to be a war orphan" at the Detroit Mother's Day Peace Parade. 12. 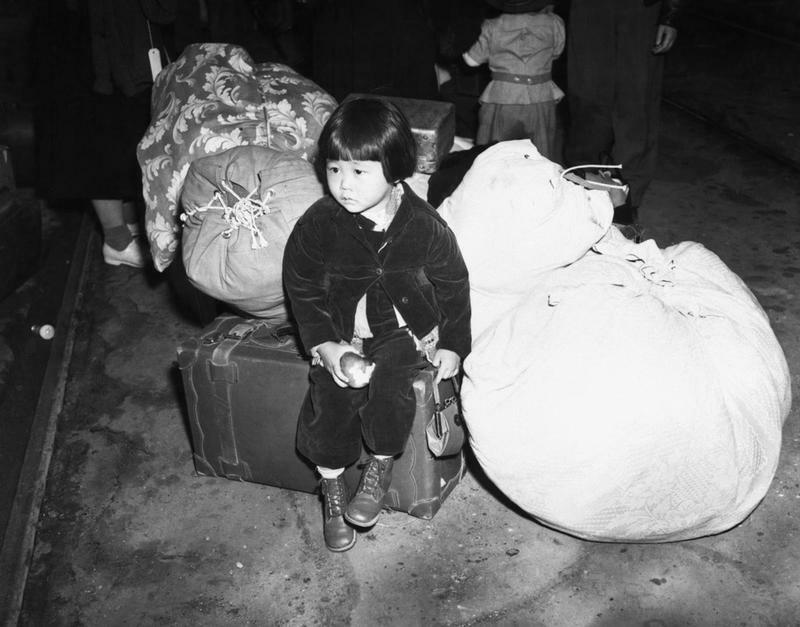 1942: A Japanese-American girl waits to be moved to an internment camp in California. 13. 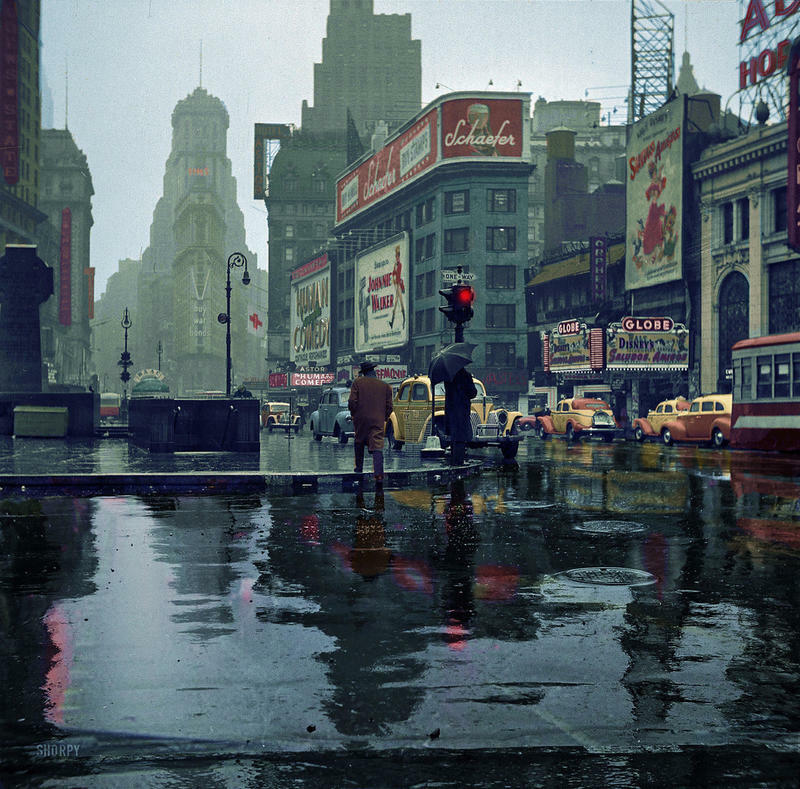 1943: A look at the famous commercial intersection, Times Square, in New York. 14. 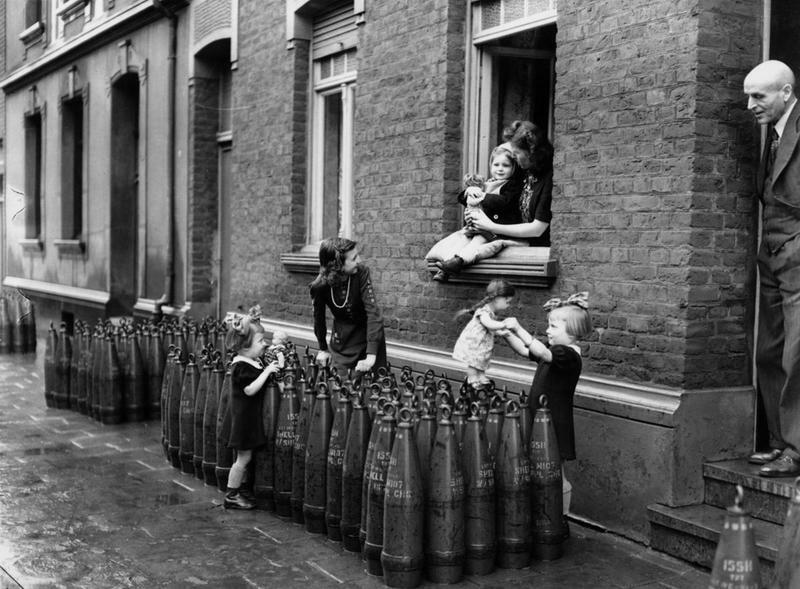 1943: Young girls play with their dolls in Munich, seemingly unfazed by the piling shells around their homes. 15. 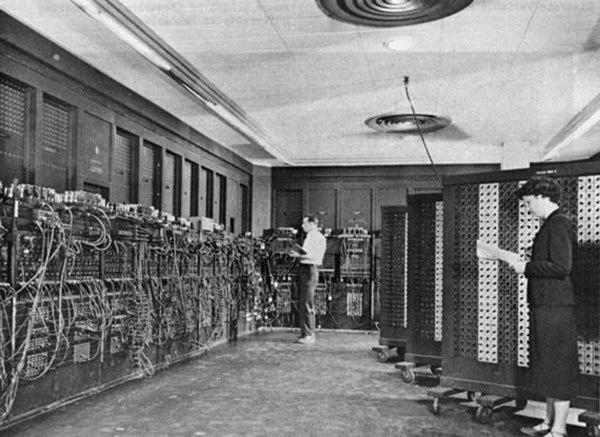 1946: Although scholars debate over whether or not the ENIAC (Electronic Numerical Integrator and Computer) is the world's first all electronic computer, the "mathematical brain" produced by the University of Pennsylvania was a significant breakthrough in technology. 16. 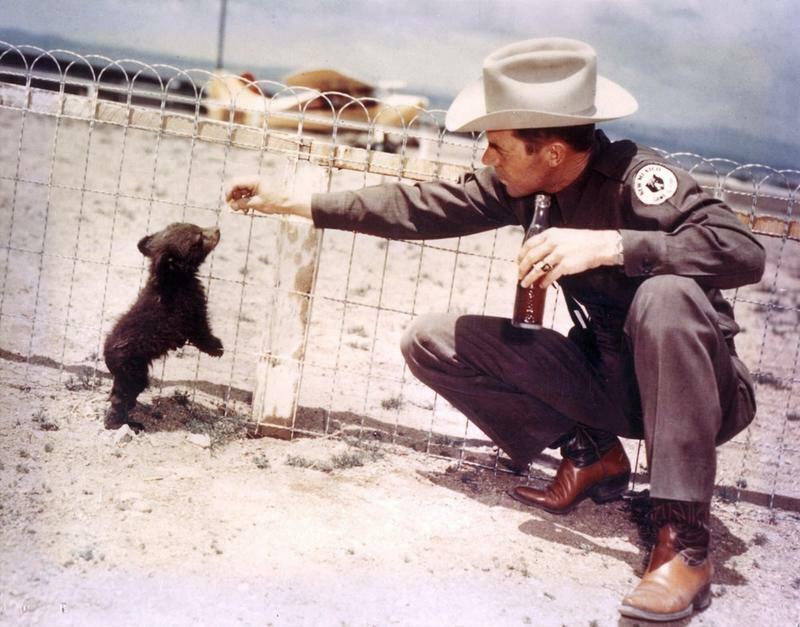 1950: Game Officer Ray Bell with Smokey Bear (yes, the mascot for the fire-prevention program!). Smokey was originally named Hot Foot Teddy, and was cared for by Bell after being rescued from a fire in the Lincoln National Forest. 17. 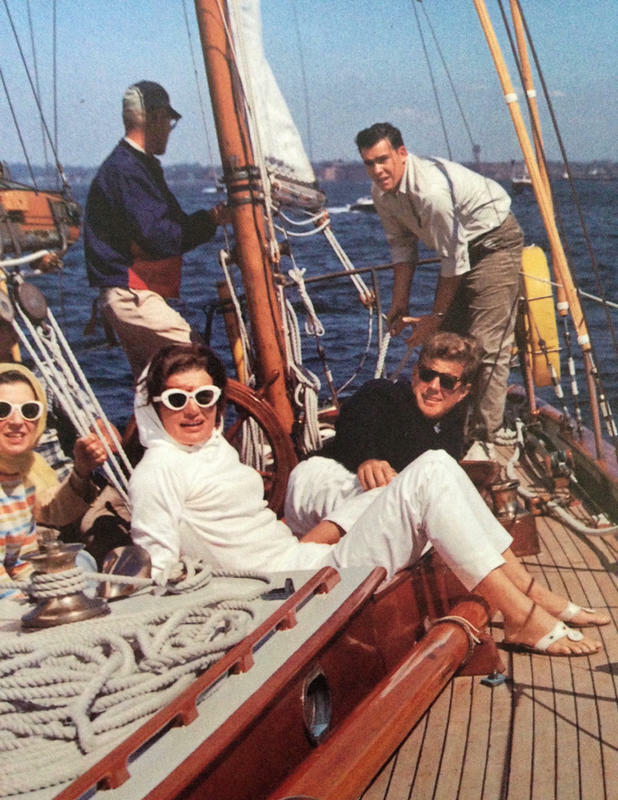 1962: John F. Kennedy aboard the Joseph P. Kennedy to watch the America's Cup, or match races between two sailing yachts. This year, the Weatherly (U.S.) defended the cup against the Australian Gretel. 18. 1963: Bob Dylan with American artist Suze Rotolo. 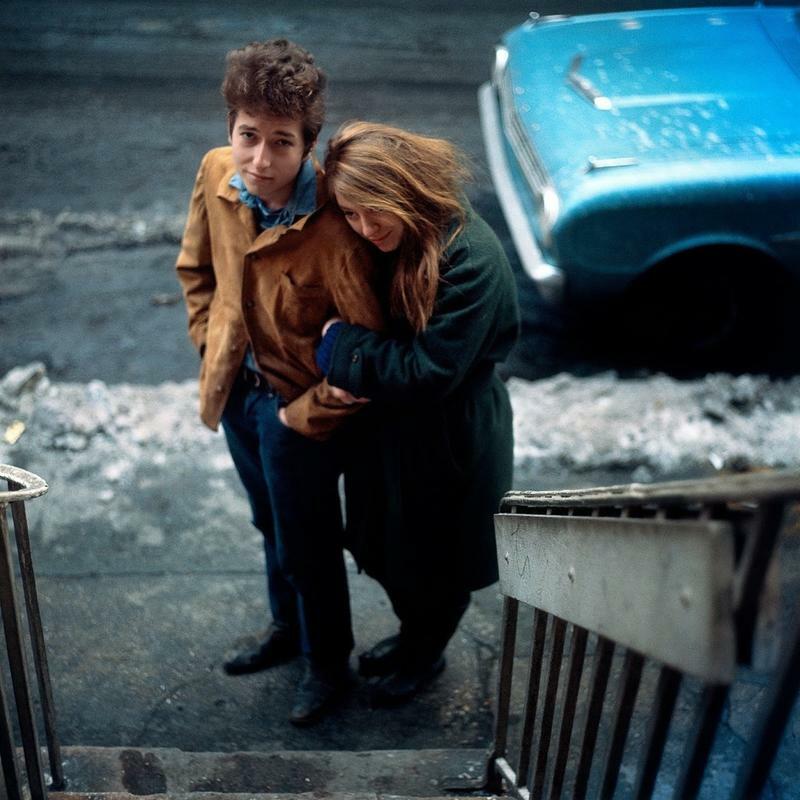 Rotolo, his girlfriend at the time, was said to have strongly influenced much of Dylan's music and art, but she insisted that it went both ways. She passed away after battling lung cancer at the age of 67. 19. Early 1970s: Swimmobiles, or floating pools, in New York City. 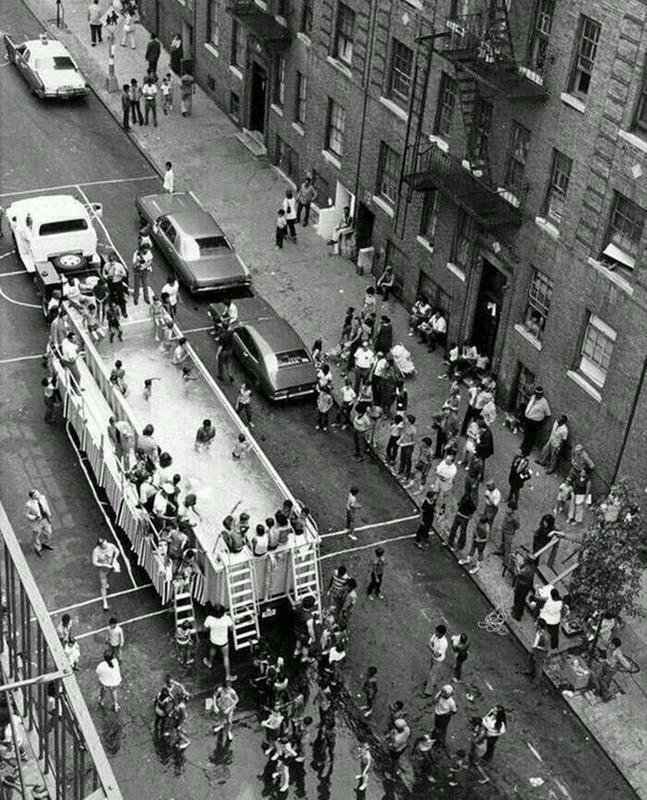 The city owned five of these mobile pools and towed them from Randall's Island to underserved parts of the city. 20. 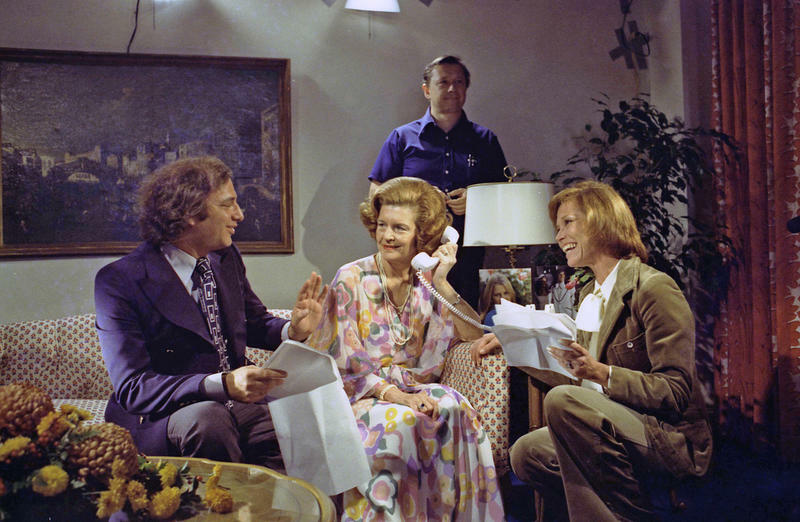 1975: Betty Ford, First Lady to President Gerald Ford, on set with Mary Tyler Moore and producer Ed Weinberger for 'The Mary Tyler Moore Show.' Betty took jobs modeling and teaching dance at a young age. Prior to her marriage to Ford, she was married to a salesman for five years. 21. 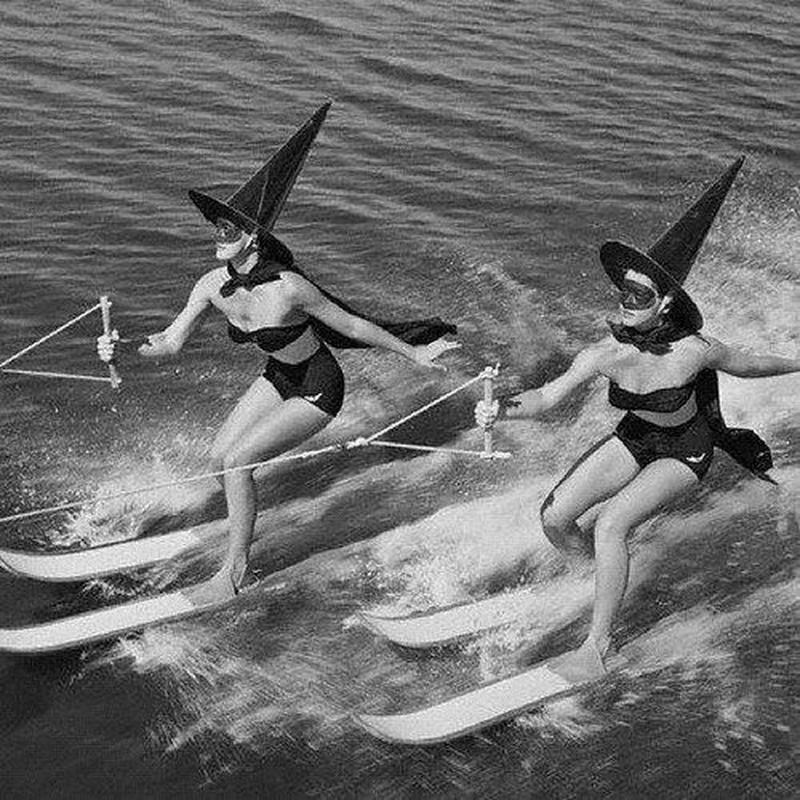 1954: Halloween at Cypress Gardens, a theme park in Florida. 22. 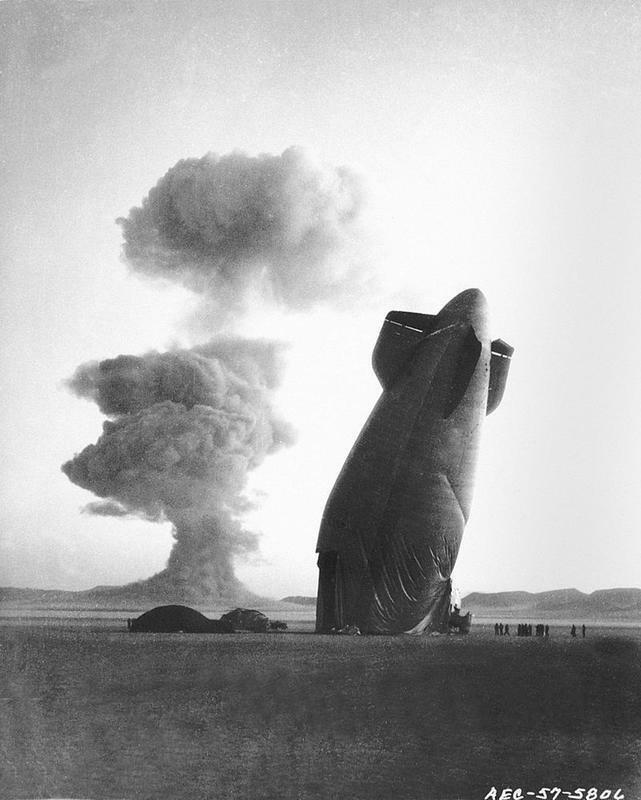 August 1957: A test blimp deflates from the shock waves of Operation Plumbbob, a series of nuclear tests at the Nevada Test Site. 23. 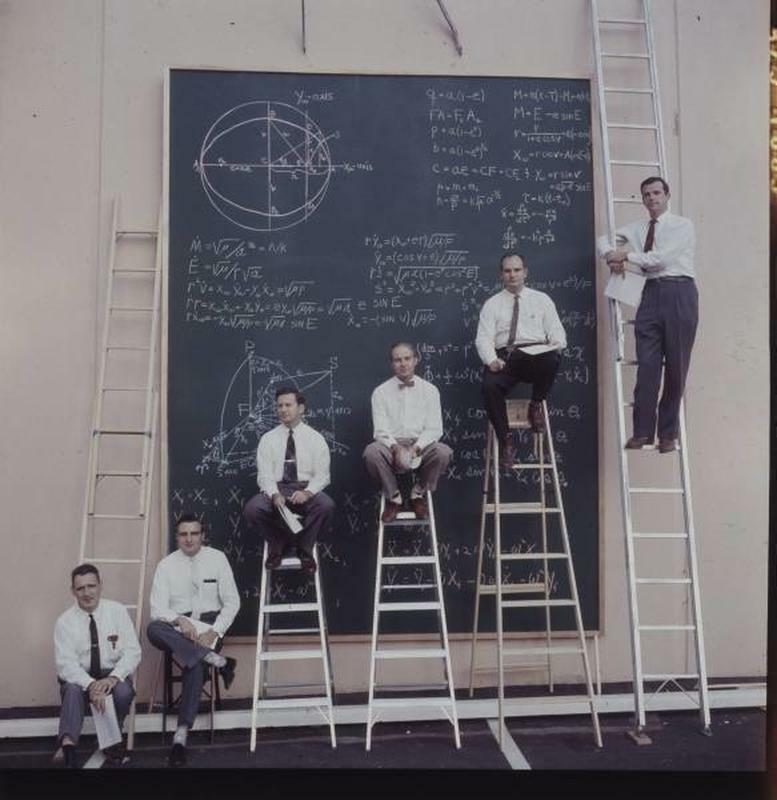 1961: Space Frontiers using ladders and a chalkboard to complete their work.